After recently dousing its Track Trainers in an understated “Black/Yellow” colorway, Balenciaga brings forth new footwear via its Santiag Harness Booties. The leather style offers a polished shoe option for Spring/Summer 2019, clad with distinct Americana characteristics that draw inspiration from the West. 100% calfskin comprises the boots, which are designed with a pointed square-cut toe that features a lustrous palladium cap. A Balenciaga logo is embossed on the front of the footwear, while other stitched details along the upper cement the tone-on-tone aesthetic. 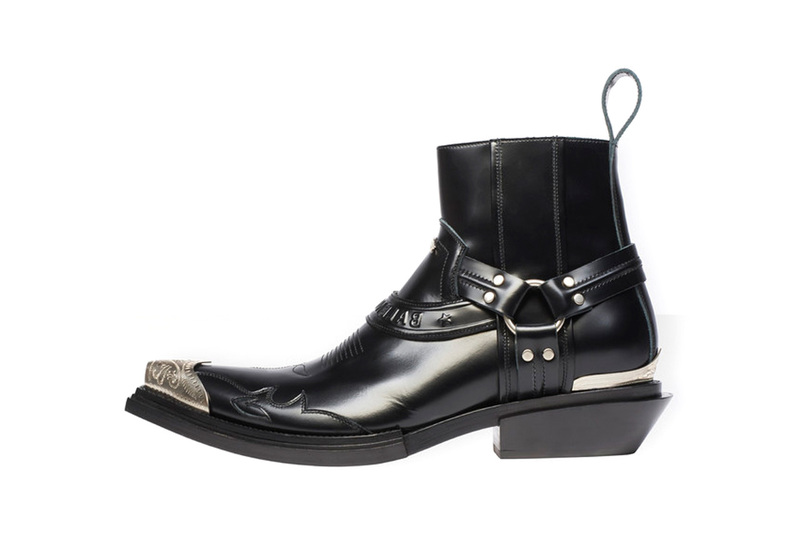 Other main details include a Cuban heel with a 40 mm arch and a loop pull at the back. Additional silvery hardware is dotted around the exterior of the shoe, while a tonal interior rounds everything out. The Santiag Harness Booties retail for $1,490 USD and are available to purchase now from Balenciaga’s webstore. For more product from the French label, check out its Twin-Set Jacket, which offers three looks in one.